Words of wisdom from our expert and memory care and caregiver expert Dr. Rita Jablonski. 1. I am still me ... I may forget parts of my life but I will never forget that I am an adult deserving dignity. Neither should you. My memories may go but my personality stays. 2. Treat me like an adult. My behavior may be child-like, but NEVER treat me like child. No baby talk! 3. Come into my world, I can't function in yours. This means that I can't remember what happened 5 minutes ago but I can remember something from 50 years ago. Please don't argue with me, I don't understand why you are angry and I feel terrible for hours afterwards. 4. Actions are better than words. No big explanations, a gentle touch or hug and a warm smile goes a long way. 5. Give me a daily, consistent schedule. Consistent schedules tap the memories that I have and strengthen the parts of the brain that are still working. I feel better with schedules, even if I cannot remember them. 7. Give me pleasurable activities. I may forget that you took me out to lunch, or we went fishing, but the pleasurable feelings and emotions that came from that experience will last for hours. 8. Give me social interaction on my terms. I can't handle large gatherings but I can visit with a couple of people, especially if they are following Commandment #3. Again, I may forget that the grand kids came to visit, but the pleasurable feelings and emotions from that visit will persist after the visit. 9. Keep me safe. That means giving me freedom to move about my home as much as possible without falling or getting hurt. You may need to be creative, like hang pictures of a bookshelf over a door to keep me from leaving. 10. Keep me healthy. Help me to eat good foods to stay as healthy as possible, and help me to avoid infections. Are You Banging Your Head Against the Wall? Rita Jablonski, PhD CRNP is an internationally recognized expert in dementia behaviors. She is tenured professor at the University of Alabama at Birmingham and a funded researcher, with over 50 publications and book chapters to her credit. She is a nurse practitioner in a Memory Disorders Clinic, where she helps people with dementia and their care partners. She shares her wisdom on her blog, Make Dementia Your B*tch. 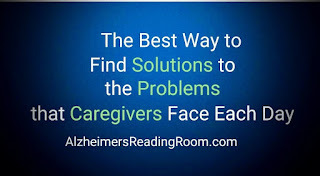 "Alzheimer's Reading Room is an online library on dementia care. If you need to know about it, you'll find it here." 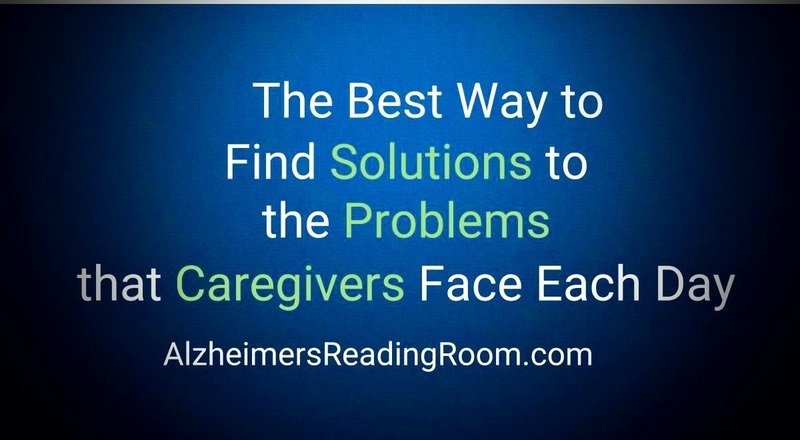 - Rachael Wonderlin, author of "When Someone You Know is Living in a Dementia Care Community"